Steven Kopp is a Pastor / Software Engineer / Author / Husband / Father in West Michigan. As a bi-vocational pastor I work about 20-25 hours/week “for the church.” I average a bit more hours/week for my job as a project manager in the aviation industry. My “church work” is split between attending services and meetings, teaching preparation and prayer, planning, communication, and a slew of other miscellaneous activities. Since I don’t spend 40+ hours a week doing these tasks it would make sense to call me a part-time pastor, just as it would also be fair to say that I’m a part-time project manager. The language “part-time pastor” and, to a lesser degree, even “bi-vocational” ministry, implies that our lives fit into neatly discrete categories. Yesterday at church I was a pastor. When I go into work this morning, I’ll be a project manager. On Tuesday night, I’m a father. In fact, my identity as a pastor/father/project manager, is far more integrated than that. In pastoring, I’m a father and a project manager. My wife and kids (and anyone else in my home: that’s another post) are my first line of ministry, not separate from it. The lessons I learn from project management help me become a better leader. My experience at my job informs how I read Scripture and preach sermons. In project management, I’m a pastor and a father. I don’t mean that I preach sermons at work. It does mean that I seek to live out my Christian witness by working hard with honesty, kindness, and calm. It means that I see my job as a way to supplement my income in order to free up the church to pay others or participate in other ministries. Neither is my project management separate from my duties as a husband and father. On its most basic level, my job enables me to provide for the needs of my family. I allocate my hours in a “part-time” way but not my identity. * So long as I am called to these roles then, I am always a pastor even if I’m not doing traditionally pastoral tasks. My bi-vocational ministry role is simply one of the ways in which I pastor. Over the years people have approached me to ask me about my bi-vocational role. Some have expressed interest in entering into bi-vocational ministry. Some are already in a secular field and are interested in adding a ministry role. Some are preparing for ministry but see the benefits of bi-vocational ministry. How, I asked the panelists, should I counsel others to discern their call? One of the panelists offered me this: Instead of asking if you’re called to bi-vocational ministry or not, ask who you are being called to serve. This is the story of my call. I did not, at the beginning of my ministry, feel called to bi-vocational ministry as such. But I was called to serve at my current church and that meant, initially by necessity, that I was called to serve in a bi-vocational role. Right now, our church probably has the budget for a single “full-time” pastor should we choose, but we believe it is more strategic for gospel ministry to have a leadership team made up of multiple “part-timers” and then rely heavily on a church family all pulling together on the same gospel mission. There are a number of reasons for this strategic approach, and it might not always make sense for our church, but it does right now. And, more importantly, it’s an example of how the “who” comes before the “how.” As a pastor, I am called to serve my church and the best way I know how to do that, is through bi-vocational ministry. This entry was posted in Ministry and tagged bi-vocational ministry, integrated life, part-time pastors, project management on April 8, 2019 by stevenkopp. For those who aren’t familiar: Safe Families is a ministry that provides homes for kids whose families are in crisis. Perhaps the closest reference for most people is foster care, except that Safe Families is more of an alternative to foster care when the crisis is temporary. The parents don’t lose any parental rights, and participation is fully voluntary on both sides. Parents can pull out at any time and host families don’t get paid. My family serves as a host family, so sometimes we have an extra child living at our house. That’s the case right now. We don’t go it alone. We’re supported by others in our church, and even from people in other local churches. This community is essential to our ability to participate. It’s hard work, but it’s doable. Part of me wants to get angry: Hey, we’re trying to do something good here and you’re criticizing us? But part of me understands the critique and sees the legitimacy of it. After all, our motivations could be poor: We could have a “Messiah complex” imagining that it all depends on us to take care of the needs of the world. We could think that this “good work” somehow merits salvation! Or, we could be acting irresponsibly, neglecting our own children so that we can look good to others of feel good about ourselves. By God’s grace, I don’t believe that those are our motives. So why do we participate in Safe Families? For me, it’s less because of a sense of need and more a sense of gratitude. God has showered his grace on us. He has saved us, forgiven our sins, adopted us as his children, and welcomed us into the family of God. On top of those spiritual benefits he has given us material blessings. We have a warm house. We have sufficient food. We have enough money. We have stability, rooms, and resources. We have energy and health. In other words, we have been blessed not only with our daily bread, but with daily bread to share. When you realize your blessing, it makes sense to share that blessing with others. That’s why we are a host family. Not everyone is called to be a Safe Families host family. Most aren’t. But as we looked at the need (children in unsafe environments) and the benefit (providing stability in a family crisis) and the set of resources we have been blessed with, it just fit. Add, on top of that, the commands of God to love and serve our neighbors and the gratitude that comes from God’s grace, and it just makes sense for us. This entry was posted in Christianity, Uncategorized and tagged Christianity, Safe Families for Children on April 4, 2019 by stevenkopp. Most Christians I know want to read the Bible more but struggle to establish a consistent Bible reading habit. They start with the best of intentions and maybe even succeed for a few days or weeks, but they’re never able to establish the kind of routine necessary to make the habit stick. This has been me at different seasons in my life. I just finished reading the bestselling book Atomic Habits: An Easy & Proven Way to Build Good Habits & Break Bad Ones by James Clear. Clear has written this book to help anyone establish and stick with good habits and break bad habits. The book applies to all kinds of habits, and Clear never specifically mentions the habits of Bible reading and prayer. He does, however, talk a lot about meditation. And, if you mentally replace “meditation” with “spiritual discipline” you wind up with a reasonably solid guide for spiritual growth – so long as you add a spiritual dimension to his otherwise thoroughly materialistic worldview. I read this book primarily through my pastoral lens and, with that in mind, I wanted to share six practical pieces of advice for anyone who struggles with starting or sticking with a Bible reading habit (or any other spiritual discipline). Clear talks about three levels of transformation: Outcomes, process, and identity. · Outcome: What tangible changes do you hope to see? Do you want to be closer to God? Do you want to know and love him more? · Process: How are you going to achieve that outcome? Reading and meditating on God’s word is one path God has given us. · Identity: What kind of person are you? Changes in outcome come from changes in process. Long term changes in outcome only come through a change in identity. I am a follower of Jesus therefore I want to seek him through Scripture and prayer. If we disconnect our identity from our process then the process (the habit) isn’t going to last. Focus, first, on your identity, on the person you are and the person you want to become. A variance of this is called “habit stacking.” Habit stacking involves connecting an existing habit to a new habit. For instance, you already have the habit of brushing your teeth so your intention statement could be “I will read a verse from the book of Proverbs after I brush my teeth.” This is effective because the first part of habit formation is the cue, the thing that reminds you to perform your habit. The existing habit (brushing your teeth) becomes the cue for the habit you want to form (reading your Bible). Much of our behavior is shaped by our environment so we can effectively modify our behavior by modifying our environment. For instance, if we want to get rid of a bad habit, we try to make the cues for that bad habit invisible. We might move the back of sweets out of sight if we want to improve our eating habits. Conversely, to add a good habit, make the cues for that habit as obvious as possible. For instance, if you want to read your Bible each morning, at night put your Bible at the table where you eat breakfast. If you read it at night, keep your Bible on your nightstand. This is important when starting a new habit. Habit formation takes repetitions, so if we make that habit too hard, too soon, we won’t stick with it long enough to make it automatic. Clear recommends following a 2-minute rule. Only perform the habit for 2 minutes. For those new to reading the Bible, this might mean just reading a few verses each day and saying a quick prayer. Once the habit has been established through repetition, begin increasing how much you read and how long you pray. Clear recommends using a “habit tracker” which could be something as simple as a calendar. Every time you perform a habit (read the Bible) mark an X on that day. Tracking helps keep it at the forefront of our minds and also gives a sense of accomplishment. Related to this is the principle of keeping the streak alive. Missing one day won’t hurt, but if those misses stack up you can quickly derail. Clear recommends that you try to never miss the habit two days in a row. For instance, if your plan is to work out on Monday, Wednesday, and Friday and you miss Wednesday, make sure you don’t miss Friday. This helps keep habits alive. I recommend daily Bible reading – or perhaps Bible reading on weekdays. If you want to establish a Bible reading habit and you miss a day, that’s Ok. But to keep the habit going, try not to miss the next day. Atomic Habits offers advice is practical and wise but, especially for the spiritual disciplines, we cannot approach this with a purely practical mindset, otherwise we will sink into a worldly and ultimately self-oriented mindset. Our relationship with God is built solely on his grace. His Spirit that works in us to transform us into the likeness of his Son. Nevertheless, God has given us minds and bodies which work in certain ways. We are embodied followers of Jesus, and we do well to use those minds to the best of our abilities to seek and to serve Him. 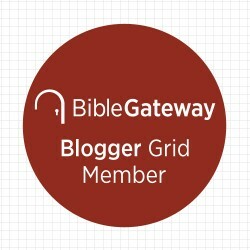 This entry was posted in books, Christianity, Uncategorized and tagged Atomic Habits, Bible Reading, Book Reviews, habit stacking, Habits, James Clear, Spiritual Disciplines on March 30, 2019 by stevenkopp. I couldn’t properly finish my sermon this morning thanks to what has to be one of my most embarrassing moments in preaching – the distinct feeling that I was very close to fainting. In order avoid making a bigger scene, I “landed the plane” rather quickly and sat down. Preaching in Mark 2:18-22, the main point of the sermon was rather simple: We cannot simply patch Jesus onto our old lives. We need to be open to his transformational work. We need him to make us new. In this passage the key distinction is between “old” and “new”, where the “old” represents those who rejected Jesus and the “new” represented Jesus and those who, by faith, receive him. But here I feel like I need to make a clarification I didn’t have a chance to make this morning. We could misunderstand Jesus’s teaching to mean something like this: What is New in time is superior to what is Old. In other words, we could take up a position of what C.S. Lewis called “chronological snobbery.” This is the idea that modern is greater than ancient, the new idea greater than the old, the novel technique greater than tradition, what comes later is greater than what came before. In doing so, we could become unmoored from the anchor of our faith, “blown here and there by every wind of teaching.” (Ephesians 4:14) No, even though the Bible speaks about the superiority of the New, chronology is not exactly what is in mind. Consider this passage from Ephesians. First, you’ll notice that there is a chronology here. Paul speaks of their former way of life. In time, the Ephesians heard the gospel, believed, and confessed their faith. However, chronology is only part of the equation. What really makes something new is its relation to God: “Put on the new self, created to be like God.” What makes something old is its relation to the self apart from Christ: “put off your old self, which is being corrupted by its deceitful desires.” Notice that there is a possible progression in both directions – a continual corruption of the old self, or a renewal of the new. Both happen in chronological time, but only one can properly be called “new” in this sense. God, in time, makes things new. Indeed, he is making all things new: A new people, a new creation. But not everything new is of God. That means that we are free to mine the ancient, the historical, even the traditional, for the beautiful “new” treasures God has in store for us. This entry was posted in Christianity, Uncategorized and tagged Christianity, Chronological Snobbery, Ephesians, Mark, Old and new on March 10, 2019 by stevenkopp.